2019's top wedding colors - mix them, match them, expect to see them all year long! We offer these sweet shades in papers, cards, envelopes, pockets and more. 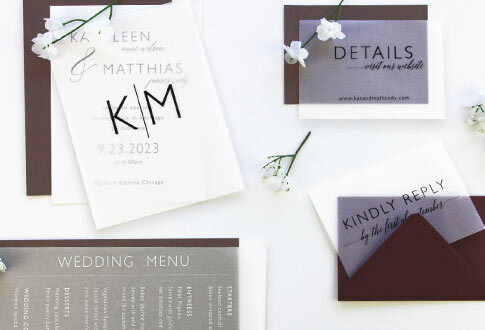 Order them blank or printed to create seriously stylish wedding stationery. 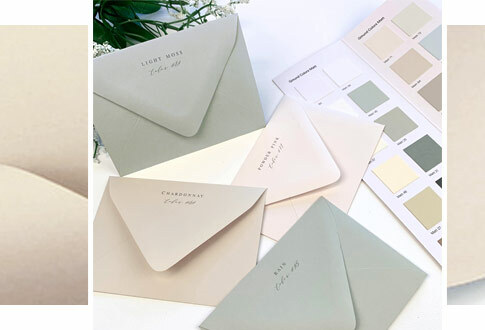 No one likes boring wedding envelopes, so here it is - a roundup of stationer selected envelope favorites. Whether your taste is traditional or contemporary,we have you covered. Available blank or fully addressed & printed. 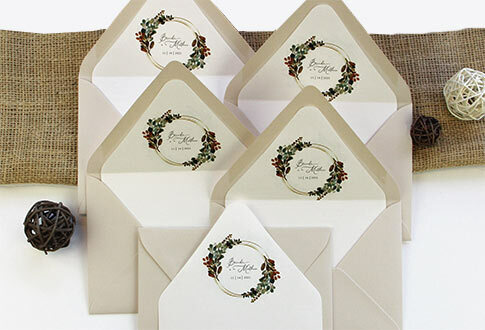 Year after year, 5x7, A7 cards and envelopes remain the most popular invitation size. Shop dozens of 5x7 flat cards, folding cards, pockets, envelopes and more. Order blank or printed for invitations, programs, table cards, or anything you'd like! Product is made with high quality materials. Came packed well and shipped quickly. Very Pleased. recently ordered double-sided silver and double-sided gold paper for a wedding project. order arrived quickly and beautifully packaged for a damage free product! very happy with our LCI purchase! 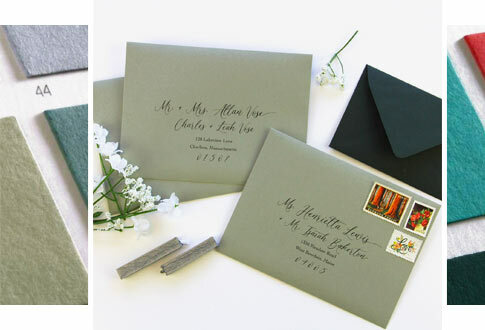 I ordered envelopes in the storm cloud color, it is the perfect dusty blue color. The envelopes are thick and great quality. I 100% recommend! Great customer service and the quality of the paper was superb!! Will be ordering envelopes next! Well pleased with my order, will definitely order from them again and the shipping was very quick also! We ordered the A7 Curious Skin Black Blank cards with white print for my daughter’s Save the Dates. We used a template that she purchased on Etsy. They came out great - sleek and stylish. They were processed and printed quickly. It was a little unnerving to place the order before uploading the file and getting a proof but it worked out fine.